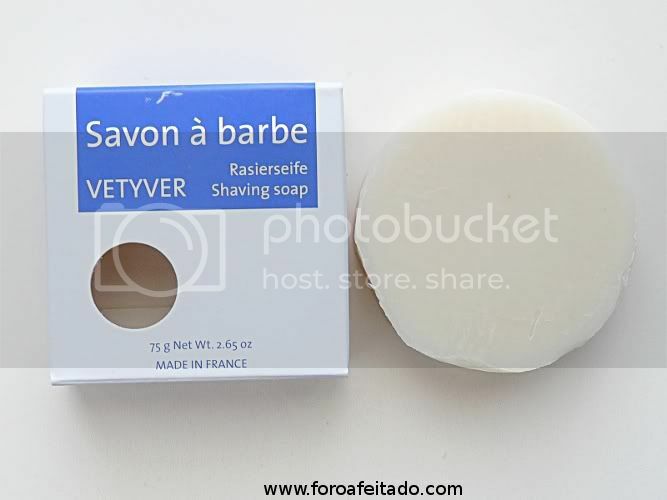 Savon du Midi Vetyver shaving soap. 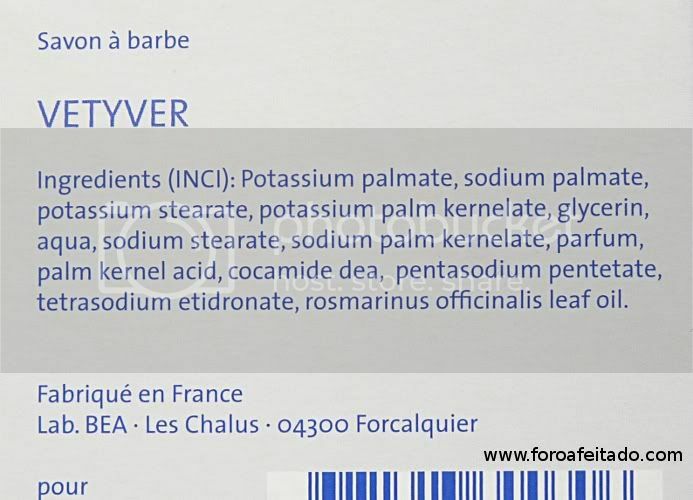 This soap its made in France for a German company (at least is located in Berlin) with a French name : Savon du Midi. 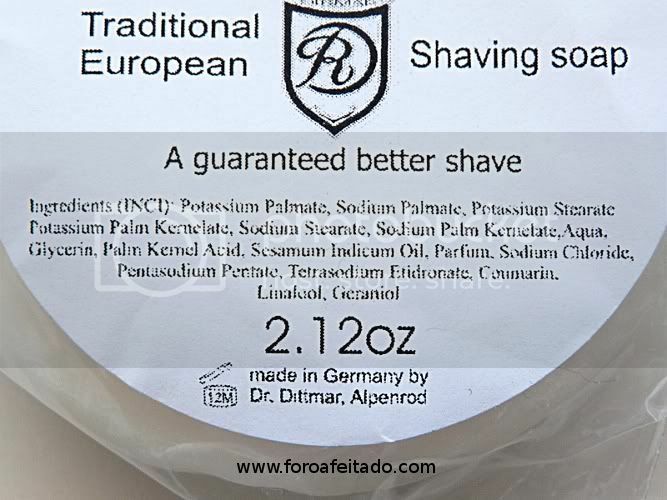 We have been recently discussing how good Dr Dittmar shaving soap is : http://shavenook.com/thread-dittmar-soap and this soap plays on the same league than the german one. The soap comes on a carboard box,nothing really fancy but better than the Dittmar refil puck,and contains 75 grams of soap. The form of the soap puck is circular and reminds me of the Woods Of Windor soap.Its a triple milled soap,or at least,behaves like one too,since I dont need to load the brush a lot to get good lather for, at lest,3 razor passes. This soap provides a really good,stable,thick lather as you can see in the previous pic,where I used a Vie Long silvertip badger brush.The lather is also really slick,maybe not as slick as the Loccitane Cade soap but close enough. 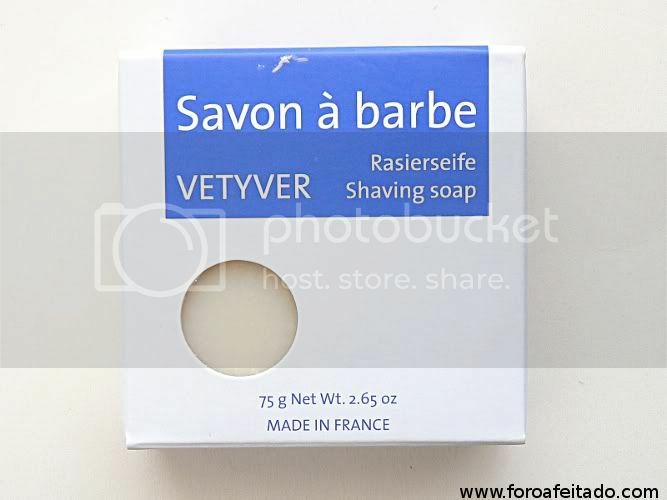 I never had a bad shave using this soap,and its scent,even when it wasn't as good as the Tabula Rasa Vetyver shaving cream,was good enough to convince me.Its a fresh,herbal scent,not too woody or either deep or smoky,like the French Vetyver shaving cream by Cyril R Salter.This soap has more of a subtle scent which doesn't last the whole shave,Im afraid to say. For its price,i (less than 10 bucks) its a good soap,with a nice scent and gives good shaves.The Frenchies know how to make good soaps and this is a fine example of it. Always enjoy reading your review. 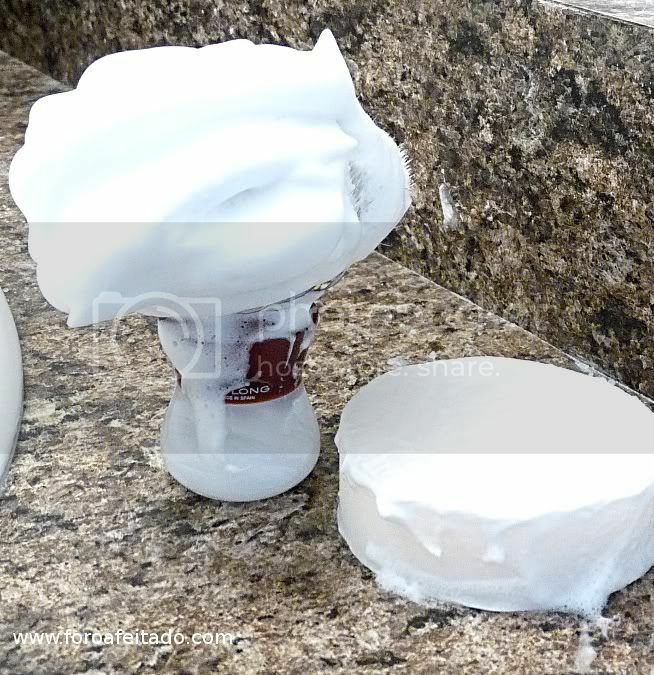 Pictures of product and lather makes my AD itch! I have this soap in the den somewhere. I will have to use it in the next few days. (04-04-2012, 05:50 PM)bullgoose Wrote: I have this soap in the den somewhere. I will have to use it in the next few days. I sent it to Andrew,so he will it test it too and gives us his opinions of it. 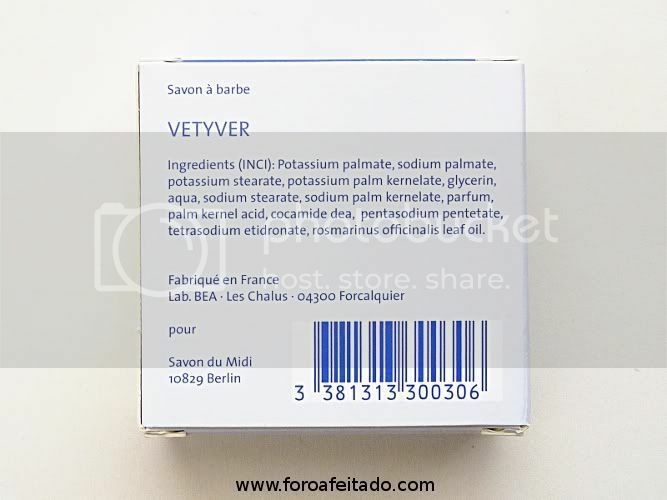 I have AOS Lavender set for tomorrow but I will make sure to use the Savon du Midi Vetyver in the next few days. I am pretty sure I have another scent of the Savon du Midi as well...somewhere. (04-04-2012, 08:34 PM)bullgoose Wrote: I have AOS Lavender set for tomorrow but I will make sure to use the Savon du Midi Vetyver in the next few days. I am pretty sure I have another scent of the Savon du Midi as well...somewhere. Sandalwood.I havent tried that one.Oversaturn had so maybe he can tell us how does it smells. Great lather, Tieste! Another great review. It's great that I've been seeing some more unusual soaps and creams on this forum. Really nice to expand the knowledge vs the 283rd review of MWF. Really appreciate it Yeiste et al. No, the one I have is Vetyver, just like yours, Teiste. But I find the scent very nice, and lasts me through the shave. It is not a strong scent, but it is there. I have it in the den as well. I've read pretty good things about it. I have the Vetyver and Santal...only used the Vet once so far. It does make a good thick lather easily and gives a good shave. The Vet pairs well with Musgo Real AS IMHO.